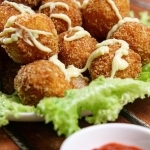 These Lychee Prawn Balls are a simple yet supremely impressive dish! Perfect for any type of social gatherings like cocktail parties and bbq nights. The golden brown crust is crispy on the outside while the unique combination of Lychee adds a delightfully sweet twist to the inside. Our recipe contribution comes from home cook, Belinda Tang, who has had a fair share of parties at her Serangoon Gardens apartment! She recommends to use Lychees by HOSEN for its size and consistency! We couldn't have agreed more. Looking to expand your menu on Share Food? 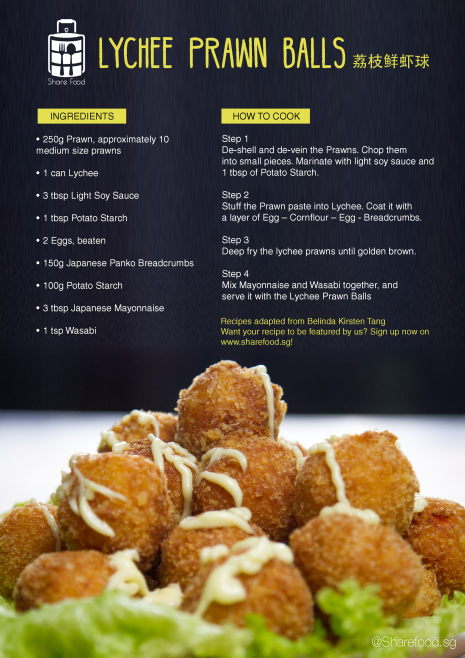 Cook this dish and pair it with Wasabi Mayonnaise or Chilli sauce and you're going to rock the neighbourhood and send tremors all over Singaporean with these deliciously crunchy Lychee Prawn Balls! 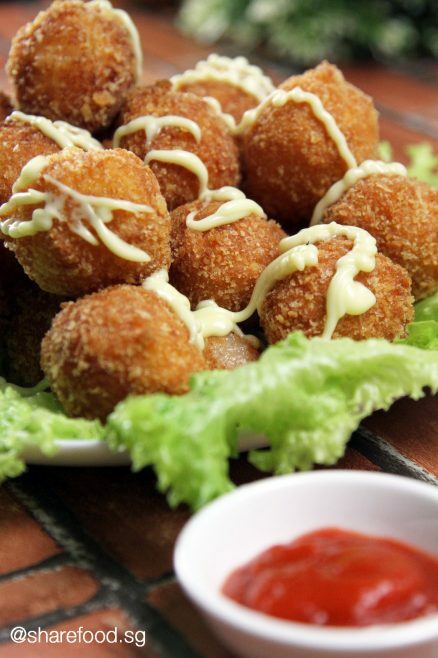 These Lychee Prawn Balls are a simple yet supremely impressive dish! Perfect for any type of social gatherings like cocktail parties and bbq nights. The golden brown crust is crispy on the outside while the unique combination of Lychee adds a delightfully sweet twist to the inside.